Liberty Media has joined the bidding for the regional sports networks that Disney is trying to sell to finalize a deal with Twenty-First Century Fox, sources told CNBC. Liberty and Major League Baseball have submitted bids in the auction. …Sinclair Broadcast and the private equity firm Apollo, which had been looking to bid, are now said to be out of the process, though Sinclair may seek to join another bid. Liberty Media definitely has the resources to pick up these networks, and they might be an interesting acquisition for them. The company doesn’t appear to currently have majority control of anything in the TV world, but they have significant experience there; they started as a spinoff of cable group TCI, were part of AT&T at one point, owned shares in Discovery and QVC, owned Starz and parts of DirecTV and Charter, and even owned a pair of broadcast stations in Wisconsin (thanks to an asset swap with CBS). 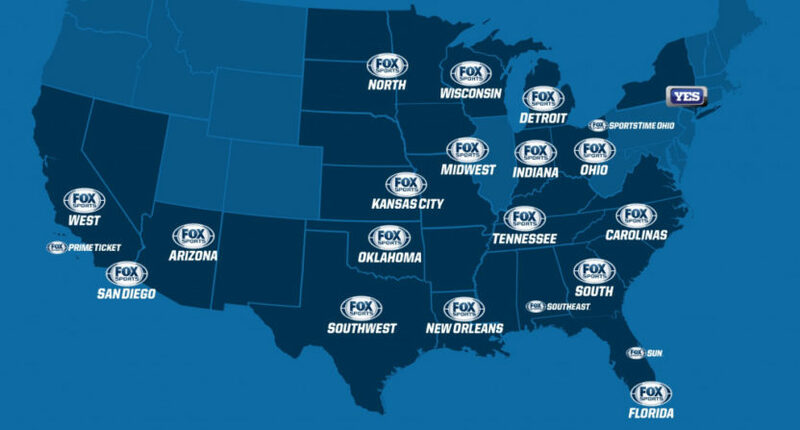 And their ownership of the Braves presumably gives them a pretty good insight into the RSN world; Braves’ games are on Fox Sports South, one of the networks involved here, and many of these networks are pretty dependent on MLB programming. It’s a bit curious that Liberty wasn’t mentioned by many earlier in this process, as seemingly everyone with a pulse was rumored to be buying these at some point (with many not even making a bid), but they’re far from the strangest possible bidder. It’s also fascinating that Sinclair and Apollo are now “out of the process,” as those two companies had been mentioned in these talks for a long while. And that might not be strictly a matter of price; Faber’s piece mentions that “MLB’s bid would value the networks at no more than 6.5 times earnings before interest, taxes, depreciation and amortization,” well below the 10x EBITDA many initially expected. That 10X multiple was expected to come in at around $19 to $20 billion, so that’s an EBITDA of $1.9-$2 billion; however, that’s with YES included, and YES has been tabbed as worth about $4 billion in some of these talks. That would make the remainder worth around $15-16 billion at 10x EBITDA, or $9.75-$10.4 billion at 6.5x EBITDA. So, the money in at least the MLB bid seems lower than what was being floated when Sinclair and Apollo were initially brought up, and it’s interesting that they’re exiting now. As this entire process has shown, though, absolutely nothing here is certain until the networks are actually sold. Tons of companies have been mentioned as bidding that never really bid, and some of those that had been confirmed as bidders now seem to be bowing out. MLB was supposed to only be bidding with a partner, but now it seems they’re going it alone (at least for the moment). And Liberty Media has now somehow come in at the eleventh hour without tipping many off along the way, a move so sudden it’s like the Kristaps Porzingis trade all over again. We’ll see what happens in the next installment of As The RSNs Turn, but the process so far suggests there are more surprises yet to come.